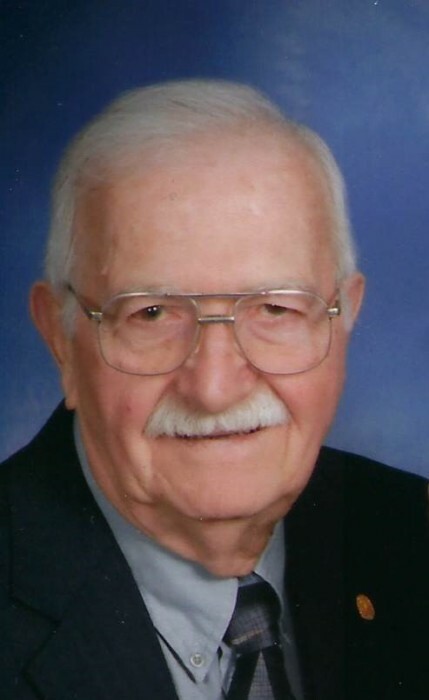 Frank E. Shaw, age 83, of Wilmington, died Saturday, April 13, 2019 at Clinton Memorial Hospital. Frank was born June 9, 1935 in Batavia, Ohio the son of the late Carroll and Bessie DeVore Spencer. He was a 1953 graduate of Seaman High School, and the Ohio Mechanic Institute of Cincinnati. Frank was a 50 year member of The Presbyterian Church of Wilmington where he has served as an Elder and Trustee. He retired from Cincinnati Milacron after 38 years of service. He was active in Boy Scouts; very active in the restoration of the Murphy Theatre, and continued volunteering at the theatre for several years; he was one of the original board members who started Habitat for Humanity in Clinton County, he painted, designed and continued to work with Habitat until his passing; he was a sign painter for Clinton County, was a Master Carpenter and worked for his son-in-law Brian Lieurance on many projects. Frank was a loving husband, father, and grandfather, and was a mentor to many. Frank is survived by his wife, Carol Sue (Boring) Shaw; children, Lora and her husband Larry Arant of Brookport, Illinois, Susan and her husband Kim Frank of Whitestown, Indiana, Troy and his wife Tomi Kay Shaw of Washington C.H., Cathleen and her husband Mike Combs of Waynesville, Christine Driggs of Bellbrook, Keith D. Inwood of New Vienna, and Pamela Sue and her husband Brian Lieurance of New Vienna; grandchildren, Jaime Timmons, Aaron Arant, Kelly Loutner, Eddie Frank, Tyler Williams, Spencer Shaw, Riley Shaw, Cameron Shaw, Erin Dawes, Bradley Clifton, Andrew Driggs, Sarah Driggs, and Ryann Lieurance; great grandchildren, Devin and Ethan Timmons, Nate and Grant Loutner, Emma and Hannah Williams, Korah and Charlotte Dawes, and Collin Clifton; sister Grace Kay Kimberley of Peebles; brothers, David and his wife Sharon Shaw of Georgia, and Lee and his wife Sandy Shaw of Florida; sister-in-law Trish Shaw of Cincinnati; brother-in-law Clyde and his wife Kim Boring of Florida; former wife Betty Shaw of Waynesville; and many friends including special friends John and Helen Morris of Dayton. Frank is preceded in death by his father Carroll Spencer; mother Bessie (DeVore) Spencer Shaw; infant daughter, Julia Ann; brother Jim Shaw; and brother-in-law Richard Kimberley. Funeral services will be held 5:00 p.m. Monday, April 22, 2019 at the Presbyterian Church of Wilmington, 840 Timber Glen Drive, Wilmington, Ohio 45177. The Reverend Bob Wade will officiate. Visitation will be held from 3:00 p.m. until the time of service at 5:00 p.m. Monday at the church. Following the service, the church is providing a meal for family and friends, all are invited for food and fellowship in Frank’s honor. Interment will take place at a later date in Maple Gove Cemetery, Port William, at the convenience of the family. The Brown Funeral Home, Wilmington is serving the family. For more information, or to sign our on-line register, please visit www.arehart-brown.com or see our Facebook page, Brown Funeral Home.